If you're considering investing in an engagement ring, it pays to understand the diamond clarity scale. The size and number of flaws in a diamond has a dramatic influence on the value of the stone. Most diamonds were created over a billion years ago, when carbon-containing minerals deep in the Earth responded to intense and sustained pressure. Seismic events bring these diamonds to the surface of the earth, where they are mined, cut, and turned into jewelry. Most diamonds formed in stages, which is the main reason they have flaws or inclusions. These flaws are small amounts of non-diamond materials within the gemstone. "Diamond clarity" refers to measurement systems used to describe these flaws. Researchers with the Gemological Institute of America (GIA) invented the diamond clarity grading scale in 1953. During the 1970s, GIA members noticed that cutting of diamonds had become more aggressive in response to the scale, so they revised it to include ratings for more flawed diamonds. The process for grading diamonds requires years of training and special equipment that illuminates and magnifies the diamond. GIA diamond graders use prescribed inspection procedures and check each quadrant of the stone for flaws. The clarity ratings are based on how easy or difficult it is for jewelers to see flaws in the diamond. Some flaws can be seen with the naked eye, giving the diamond a lower clarity rating. Other flaws can only be seen at magnification, and those diamonds receive a higher rating. A few diamonds have no flaws at all. FL: Flawless diamonds have no surface blemishes and no inclusions visible at 10x magnification. It's extremely rare to find diamonds of this quality in nature, although a flawless rating is relatively common in lab-created stones. IF: This grade, which was added in the 1970s, means a diamond is internally flawless at 10x magnification. It may have some surface blemishes, but they usually aren't visible to the naked eye. These diamonds are also very rare. VVS1 and VVS2 diamonds have very, very slight inclusions. In these stones, a skilled diamond grader will barely be able to see the flaws under 10x magnifications. These flaws are not visible to the naked eye. VVS2 diamonds have slightly larger inclusions than VVS1 diamonds, but all diamonds in the VVS clarity grade category have excellent clarity. Very slightly included diamonds are graded as VS1 or VS2. In both cases, trained diamond graders will see only small flaws under 10x magnification. In VS2 diamonds, the flaws are rarely visible to the naked eye, although trained diamond graders may be able to see them in certain situations. In slightly included diamonds, which receive the grades of SI1 or SI2, trained graders will easily be able to see flaws under 10x magnification. These flaws may also be visible to the naked eye. SI1 and SI2 diamonds are more common than higher grades, making these diamonds a bit less valuable. The I1, I2, and I3 grades were added during the 1970s. These diamonds have various sizes of inclusions, many of which are visible to the naked eye. Some I3 diamonds may even have issues with durability due to their flaws. 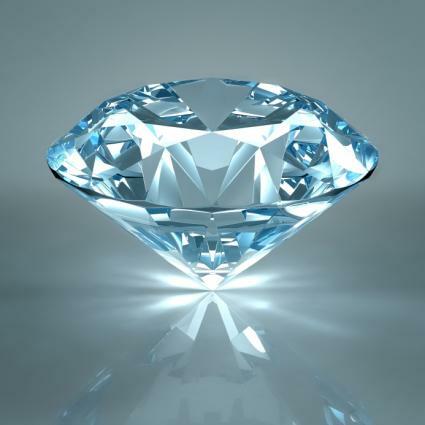 Included diamonds are typically less brilliant than the other grades, since the flaws may affect the diamond's light refraction. American Gem Society: One of the most recognized systems in the US after the GIA, the AGS clarity scale uses numeric measurements from 0-10.
International Gemological Institute: This clarity grading system is similar to GIA, but has 10 grades, beginning with Internally Flawless (IF). 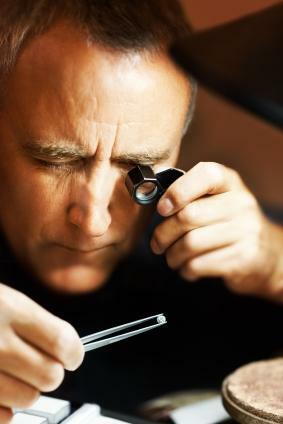 International Confederation of Jewelry, Silverware, Diamonds, and Stones: This organization uses a system ranked according to weight (over or under 0.47 carats), and grades from Loupe Clean to Piqué 3.
International Diamond Council: The IDC uses a system close to the International Confederation of Jewelry, Silverware, Diamonds and Stones, but they do not separate grading systems by weight. European Gemological Laboratory: The EGL has 11 diamond calrity grades like the GIA, but differs from the GIA standard in that is begins with Internally Flawless and the system includes an SI3 grade. To some extent, scales from these organizations correspond to the GIA scale; however, there are some differences in the letters and numbers used to denote the level of clarity. If your jeweler shows you a stone with one of these other rating systems, ask him or her to explain how it compares to the GIA diamond clarity scale. There are two primary types of diamond flaws, both of which can contribute to a diamond's clarity rating. Typically, jewelers refer to surface flaws as "blemishes." These can include small pits or cavities, scratches, or chips. Internal flaws are called "inclusions" and can include cloudy spots, feathers, cavities, and mineral deposits. There is a lot of variability in the size of these flaws and their location within a stone. Diamond cutters, who undergo years of training and apprenticeship, must decide how to cut a diamond to maximize the carat weight of the stone while minimizing these flaws. After the diamonds are cut and polished, they are assigned a grade that describes the clarity of the stone. Flaws can also be camouflaged in the laboratory to avoid detection by inexperienced eyes. These clarity enhanced diamonds are more appealing while keeping the total cost affordable. Techniques for diamond clarity enhancement include laser drilling to remove inclusions and fracture filling for filling cracks. Without altering the strength of a diamond, laser drilling removes inclusions permanently. 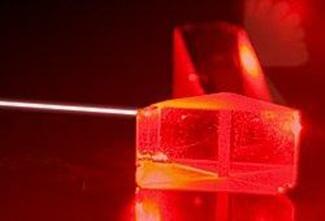 It becomes very difficult to detect when laser drilled areas are filled with a clear substance. However the filling is not permanent and the stone is more susceptible to chemical erosion and other damage. This treatment fills tiny cracks with a clear, glasslike substance. It creates an optical illusion that conceals cracks from casual observers. Fracture filling is not permanent, however, and any cleaning or heat from repairs or sunlight can remove or darken the filler, revealing the fracture. Diamond clarity is a large factor in determining a stone's cost. A significant flaw may detract from an otherwise suitable diamond, lowering the price substantially. Many people prefer flawless stones, and laboratory treatments can help increase a diamond's clarity while still keeping the price affordable for engagement rings and other types of jewelry. Stones that are naturally free from flaws - or that have only tiny, barely detectable ones - carry the highest price tags.